Support with form-filling and practical advice from our team of experienced volunteers. You can send yourself a reminder email three days prior to events taking place. 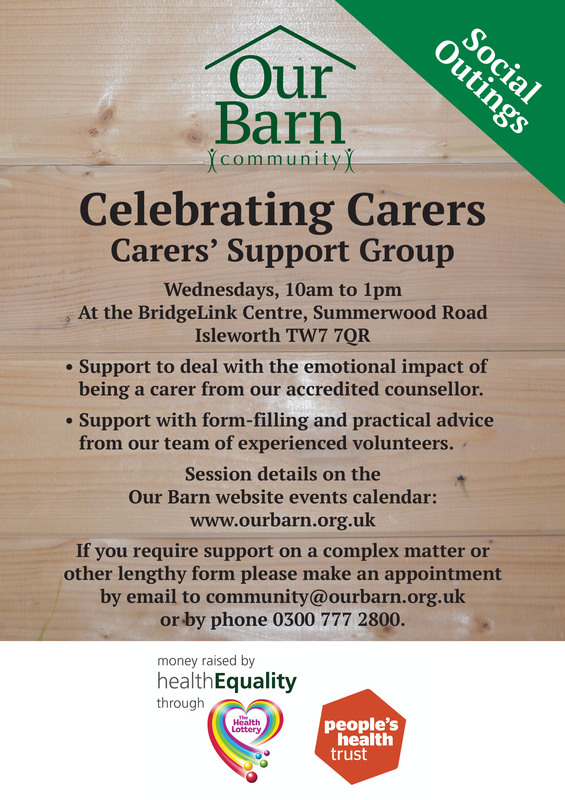 'Our Barn Celebrating Carers' took place on 13 February 2019.